After I used the sepia filter, I increased the brightness/contrast in Adobe Photoshop 7. Then uploaded the photo to Photobucket and clicked the Cartoon filter then faded it almost completely to get the effect you see above. Don't forget to sign Mr. Linky and leave a comment. 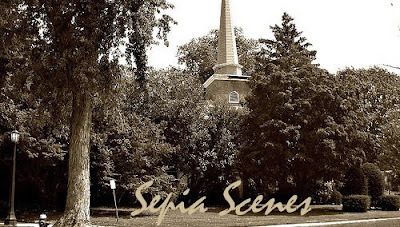 Most importantly please VISIT your fellow Sepia Scenes bloggers. We all love visitors and commenters. I don't know where Mr Linky is for the moment so I leave my link here and check for Linky later. Good editing. I must also test at any time. Great effect. Yes, I link to your latest post until further notice because I do not find Mr. Linky here. Love the two new photos Mary. I too cannot find Mr. Linky. I'll check back later. I posted my sepia photos today. Have a great week ahead. Here are my pic for this week..
Where did Mr. Linky go? Hmmmm!! Cool shot, very cool subject, and an interesting technique. At first I thought you'd posterized it, but it was too photo-like for that. And there's another Photoshop filter that does something like this but at the moment the name of it escapes me. It's probably the same filter you used here, just under a different name in CS3. Mr. Linkky has gone on walk-about. Here is my post for this week. You lighthouse discovery is terrific. It reminds me of the Astoria Tower in Oregon (at first glance). Lighthouses have a fascination for me! Your editing really highlights the rugged structure creating quite an artistic feature! Nice job! How interesting that you used more than one program. I like the final look. Another postcard perfect shot Mary! I like your editing of this photo too. Isn't it fun to discover things that are near where you live? The stone lighthouse is a work of art. Its a great effect too. I like it. the cartoon filter? hmmm, interesting! 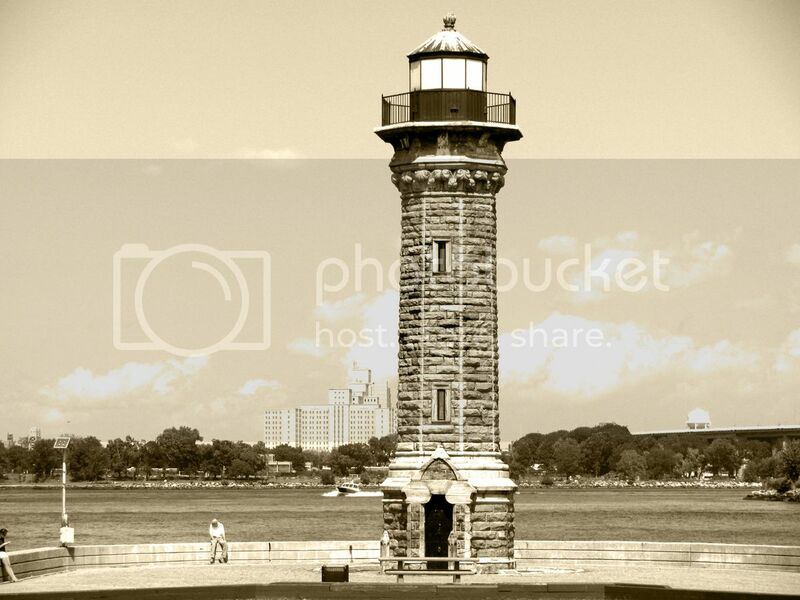 What a cool looking light house. Very nice shot! Isn't it nice to find something you didn't know was there and save it forever in a photo! Have a great day!! Nice shot! Looks like a great place for photos. I love your yellow clouds. This is such great computer editing. I hope one day to figure out all that adobe has to offer! Me likey! It makes the lighthouse stand out from the light background.